Courtesy of San Diego Brokerage. Absolutely Stunning Penthouse in South Mission Beach. Ocean Front Living at it’s finest with Breathtaking White Water Views & Majestic Sunsets. Enjoy the entire top floor to yourself with a wall of windows facing the beach as does the massive private balcony. Light, bright & completely remodeled which makes it perfect for both owners & vacation renters. Fantastic Boardwalk location close to volleyball/basketball courts & parks. Elevator takes you directly into your unit & extra storage in a 2 car garage. 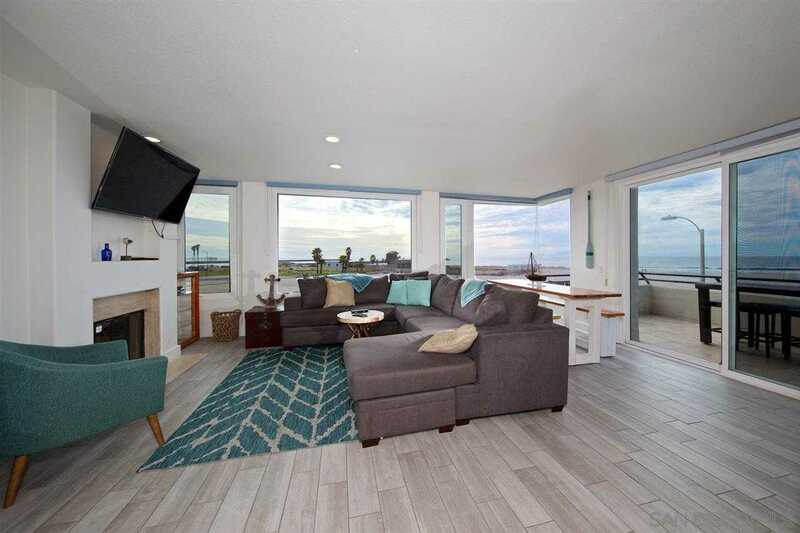 Please, send me more information on this property: MLS# 190000661 – $1,999,000 – 2695 Ocean Front Walk, San Diego, CA 92109. I would like to schedule a private showing for this property: MLS# 190000661 – $1,999,000 – 2695 Ocean Front Walk, San Diego, CA 92109.